Le Thuc, O., Noël, J. and Rovère, C. (2017). An ex vivo Perifusion Method for Quantitative Determination of Neuropeptide Release from Mouse Hypothalamic Explants. 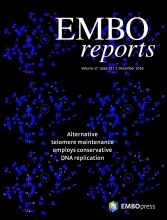 Bio-protocol 7(16): e2521. DOI: 10.21769/BioProtoc.2521. The hypothalamus is a primary brain area which, in mammals, regulates several physiological functions that are all related to maintaining general homeostasis, by linking the central nervous system (CNS) and the periphery. The hypothalamus itself can be considered an endocrine brain region of some sort as it hosts in its different nuclei several kinds of neuropeptide-producing and -secreting neurons. These neuropeptides have specific roles and participate in the regulation of homeostasis in general, which includes the regulation of energy metabolism, feeding behavior, water intake and body core temperature for example. As previously mentioned, in order to exert their effects, these peptides have to be produced but also, and mostly, to be secreted. In this context, it is of great importance to be able to assess how certain conditions, diseases, or treatments can actually influence the secretion of neuropeptides, thus the function of the different neuropeptidergic circuits. One method to assess this is the perifusion of hypothalamic explants followed by quantification of peptides within the collected fractions. Here, we explain step-by-step how to collect fractions during ex vivo perifusion of hypothalamic explants in which one can determine quantitatively neuropeptide/neurohormone release from these viable isolated tissues. Hypothalami perifusion has two great advantages over other existing assays: (1) it allows pharmacological manipulation to dissect out signaling mechanisms underlying release of different neuropeptides/neurohormones in the hypothalamic explants and, (2) it allows simultaneous experiments with different conditions on multiple hypothalami preparations, (3) it is, to our knowledge, the only method that permits the study of neuropeptide secretion in basal conditions and under repeated stimulations with the same hypothalami explants. Perifusion has been regularly used to study the pancreatic islets function. Yet, this assay is on principle adaptable to any endocrine tissue and any peptide or protein secretion. Indeed, different perifusion systems have already been used in the past and remain a valid procedure used by different research laboratories to study the neuropeptide release from hypothalami in various conditions. For example, Callewaere and colleagues published in 2006 a study in which they analyzed the effect of the chemokine SDF-1 (stromal cell-derived factor-1) on vasotocin-induced AVP (arginine-vasopressin) release. In other studies, perifusion of hypothalamic explants has also been used to analyze SRIH (somatotropin release inhibiting hormone, a.k.a. somatostatin) release from perifused hypothalami (stimulation with an extracellular perifusion with 25 mM KCl) (Tolle et al., 2001; Zizzari et al., 2007). Yet, currently, regarding hypothalamic explants perifusion, no standardized apparatus or protocol is available. We, ourselves, adapted a protocol from the publication by Callewaere et al., 2006. With this method, we have recently shown ex vivo how, in mouse, the chemokine CCL2 (CC-chemokine ligand 2) is able to reduce the secretion of the orexinergic hypothalamic neuropeptide Melanin-Concentrating Hormone (MCH) and thus participate in loss of both appetite and weight in a context of high-grade inflammation (Le Thuc et al., 2016). Figure 1. Perifusion flow chart. After a 2-h perifusion to reach equilibrium, the sampling procedure consists of a 30-min control basal period, a 30-min period during which drugs are added independently or in combination and a 60-min wash with the medium. After each experiment, an appropriate molecule (e.g., KCl) is applied to control the responsiveness of hypothalamic explants and test tissue viability. Prepare sufficient hypothalamic explants perifusion medium for the whole experiment (see Recipes; prepare always fresh and no earlier than one day before, stored at 4 °C). Prepare the stimulation solutions. For example, we have used iso-osmotic 60 mM KCl (see Recipes). Pre-gas some hypothalamic explant perifusion medium with carbogen (5% CO2/95% O2; all pre-gassing and gassing steps use carbogen) in a 50-ml conical tube for at least 15 min. About 10 ml of the pre-gassed medium will be used ice-cold for brain dissection and hypothalamic collection and the other part, about 40 ml, will be used warmed (34-37 °C) in a thermostatic bath for perifusion. Prepare perifusion chamber filters (Biorep) for each chamber (2 per chamber) with a hole puncher. Place one filter at each open end of the chamber (see Figures 2F-2H). Figure 2. Representative images of the different steps of perifusion experiment. A. Place the mouse brain upside down in a Petri dish containing ice-cold basic medium with the hypothalamus in front of the experimenter (A, B, C and D refer to step 8); B. Remove the cerebellum with a scalpel; C. Recover the hypothalamus with curved Dumont #7 forceps; D. Collect the hypothalamus (shown by the arrow and dashed circle) in a new Petri dish containing ice-cold basic medium; E. To avoid damage to hypothalamus, it can be handled with a large plastic/glass pipette; F. Prior to dissection, prepare perifusion chamber filters; G. Sagittal view of the brain showing the hypothalamus position (a circle in dotted-line is drawn around the hypothalamus); H. Put one filter at each end of the perifusion chamber (step 4); Prefill the perifusion chambers with warmed pre-gassed perifusion medium (as described in step 6); I. Position the hypothalamus in the center of the perifusion chamber (step 9). Close the chamber and put it back in the thermostatic bath at 37 °C (step 10); J. Complete assembly of the experimental set-up with, in line from right to left, a thermostatic bath at 37 °C which contains tubes filled with perifusion medium (tubes are connected one to one with silicon tubing to perifusion chambers), a peristaltic pump flows the perifusion medium, a second thermostatic bath at 37 °C which receives the perifusion chambers (a perifusion chamber is marked by the red dashed line circle) and, left, the outlet of the perifusion chambers is connected with silicon tubing to low protein absorption 1.5 ml microtubes placed on ice to collect fractions. The perifusion medium flows from right to left. Connect with appropriate tubing (low protein absorption tubing such as Teflon tubing) the inlet of the perifusion chambers that will contain the hypothalamic explants to a peristaltic pump on one side and the outlet of the chambers to the tubing for fraction collection on the other side. Prefill the perifusion chambers with warmed pre-gassed perifusion medium. Chambers and tubing will be themselves kept at 34-37 °C in a thermostatic bath. For every mouse previously euthanized (we use cervical dislocation–chosen method should be fast in order to preserve tissue as much as possible), cut the head and collect the mouse brain in a Petri dish filled with pre-gassed perifusion medium, cooled on ice. To collect the brain, insert the bottom blade of extra thin iris scissors into the foramen magnum, and begin to cut directly up and through the midline of the skull, being careful to keep scissor tips pointed upwards. Then, open the skull using forceps pushing outwards both halves of the skull, thus exposing the brain. Carefully invert the skull: gravity will help the brain to detach from the skull. Using Dumont #7 forceps, carefully slide the forceps along the outer edge of the brain and under the brain from the olfactory lobes, towards the cerebellum. Gently detach the brain from any connective tissue or nerves that prevent it from falling from the skull. Note: We used 8-week old mice. Users will determine this regarding each scientific project. A limitation is of course the volume of the perifusion chamber that receives the hypothalamus. Extract the hypothalami (see Figure 2A). Place the brain upside down in a Petri dish (i.e., the ventral side up and visible and the dorsal side of the brain on the Petri dish bottom) filled with ice-cold perifusion medium (see Figure 2A), cut out the cerebellum and spinal cord parts with a scalpel (see Figure 2B) and isolate the hypothalamus using curved Dumont #7 forceps (see Figure 2C): go carefully as deep as 2 mm around the hypothalamic and circle around them to separate and collect them from the brain. More than one brain can be processed in the same dish. Collect all hypothalamic explants in another Petri dish (see Figure 2D), filled with pre-gassed perifusion medium cooled on ice. Once all hypothalami are collected, place them immediately in perifusion chambers previously filled, thanks to the peristaltic pump, with gassed and warmed perifusion medium (step 6). Open one end of the chamber and gently deposit the hypothalami in the chamber. Be careful not to block the perifusion flow by having tissues sticking to one end of the perifusion chamber (i.e., don’t push the tissues to close to one end of the chamber or carefully reposition the tissue in the center of the chamber). Close the perifusion chamber (see Figure 2I). Note: We used 3 hypothalami per chamber to increase the quantity of peptide release per chamber in order to be able to quantify the release of MCH with ELISA. The number of hypothalami should be determined depending on the experimental setup and conditions (i.e., the neuropeptide of interest, the stimulation of the hypothalami used to release this peptide, and the peptide quantification method). Place the perifusion chambers containing the hypothalamic explants to the thermostatic bath (34-37 °C) where they will remain during the whole experiment. Perifuse hypothalamic explants with gassed and warm (34-37 °C) perifusion medium for 2 h prior to any stimulation of the hypothalami in order to establish a baseline level of peptide release by hypothalami. The inlet tubing for the chambers is placed in a bottle containing the perifusion medium. The flow of perifusion medium that goes in the chambers is set with a peristaltic pump at the rate of 0.1 ml/1 min. This rate will be used for the whole experiment. Collect 3 fractions of the baseline perifusate (1 fraction per 10 min perifusion, and fractions are collected 10 min apart from each other). Each fraction from each chamber will be collected in a separate 1.5 ml microtube in which the outlet tubing will have been previously placed. Aliquot the collected 1-ml perifusate and freeze at -80 °C as quickly as possible to avoid peptide degradation. Once the baseline fractions are collected, pause the peristaltic pump to eliminate the risk of introducing air bubble in the superfusion tubing and prepare the tubes with the stimulation medium: the inlet tubing for each chamber should be appropriately placed in the corresponding pre-gassed and warmed stimulation solution before starting the peristaltic pump again. Stimulation will last no longer than 30 min to avoid toxicity and/or desensitization of the tissue. During this step, 3 fractions will be collected (1 fraction = 10 min, fractions are collected 10 min apart from each other). The collected fractions of 1-ml perifusate are aliquoted and freezed at -80 °C rapidly to avoid degradation. Once the stimulation fractions are collected, pause the peristaltic pump and start a 60-min washout period: place the inlet tubing for each chamber into the bottle containing the gassed and warmed (34-37 °C) hypothalamic explant perifusion medium. During this step, 6 fractions will be collected (1 fraction = 10 min, fractions are collected 10 min apart from each other). Aliquot the collected 1-ml perifusate and freeze at -80 °C as soon as possible to avoid degradation. After the washout, you can stimulate again all your hypothalamic explants with the appropriate stimulus to induce the release of your neuropeptide of interest in order to control for the viability of the hypothalamic explants–30 min maximum. During this step, 3 fractions will be collected (1 fraction = 10 min, fractions are collected 10 min apart from each other). Aliquot the collected 1-ml perifusate and freeze at -80 °C as soon as possible to avoid degradation. Turn off the pump. Hypothalamic explants can be saved for further analysis. Explants are collected either with forceps, delicately, or by centrifugation of the chamber in a microtube at 4 °C (see details on Biorep’s website). Freeze at -80 °C. Wash thoroughly the whole perifusion system (tubing and perifusion chambers) with at least 200 ml of hot autoclaved ultrapure water (pump tubing should be reusable up to 20 times depending on the tubing material). Quantify the amount/concentration of secreted neuropeptides by ELISA, RIA, flow cytometry, mass spectrometry or other suitable method. All details about data processing and analysis, such as the statistical tests applied, criteria for data inclusion or exclusion have been published in Le Thuc et al., 2016. MEM with phenol red can be used when phenol red does not interfere with the peptide quantification method. For brain and hypothalamus collection, proceed as fast as possible to avoid tissue damage. Care must be taken not to damage hypothalami, once they have been isolated. We found convenient to transfer hypothalami in the medium with large stem diameter pipette (COPAN, Extra Large Pipette, 207C). As previously mentioned in step 9 of the protocol, we used 3 hypothalami per chamber to increase the quantity of peptide release per chamber in order to be able to quantify the release of MCH with ELISA. The number of hypothalami should be determined depending on the experimental setup and conditions (i.e., the neuropeptide of interest, the stimulation of the hypothalami used to release this peptide, and the peptide quantification method). Stimulation solutions should be previously gassed with carbogen and warmed in a thermostatic bath (34-37 °C). Gassing should be at saturation in solution and a minimum time of 15 min for pre-gassing is recommended. We found Micro filter candles (VWR, ref 511-0311) convenient to bubble solutions with fine diameter bubbles. The time at which the gassing and warming of these solutions start will depend on the nature of the tested compounds. For example, a stimulation solution containing a stimulating peptide should most likely not be warmed too long before use, while a stimulation solution containing KCl for example can be pre-warmed at convenience. Furthermore, stimuli should be selected in respect to the neuropeptide(s) secreted and the type of neurons investigated. When collecting fractions during stimulation, care should be taken not to collect the dead volume of the perifusion tubing. The dead volume corresponds to the volume of regular perifusion medium in the perfusion chamber and connecting tubes prior to perifusion of the stimulating medium and therefore corresponds to basal conditions medium. This should be measured for each set-up since it depends on the length of the connecting tubes. In our experimental conditions, this was measured as 1.2 ml and since the speed of the peristaltic pump is set to 0.1 ml/min, the fraction collection was delayed by 12 min. In some cases, depending on the chosen method for quantification, and on the concentration of the peptide(s) in the collected fractions, some additional steps of to improve peptide extraction or lyophilization to concentrate the sample could be necessary. This work was supported by the CNRS, the Fondation pour la Recherche Médicale (DEQ20150331738 to J.L.N. and DRM20101220421 to N.B. and C.R.) and by the French Government (National Research Agency, ANR) through the ‘Investments for the Future’ LABEX SIGNALIFE: program reference #ANR-11-LABX-0028-01. This protocol has been adapted from the previous publication Callewaere et al. (2006) with the precious help of Dr William Rostene (Institut de la Vision, Paris, France). Callewaere, C., Banisadr, G., Desarmenien, M. G., Mechighel, P., Kitabgi, P., Rostene, W. H. and Melik Parsadaniantz, S. (2006). The chemokine SDF-1/CXCL12 modulates the firing pattern of vasopressin neurons and counteracts induced vasopressin release through CXCR4. Proc Natl Acad Sci U S A 103(21): 8221-8226. Le Thuc, O., Cansell, C., Bourourou, M., Denis, R. G., Stobbe, K., Devaux, N., Guyon, A., Cazareth, J., Heurteaux, C., Rostene, W., Luquet, S., Blondeau, N., Nahon, J. L. and Rovere, C. (2016). Central CCL2 signaling onto MCH neurons mediates metabolic and behavioral adaptation to inflammation. EMBO Rep 17(12): 1738-1752. Tolle, V., Zizzari, P., Tomasetto, C., Rio, M. C., Epelbaum, J. and Bluet-Pajot, M. T. (2001). In vivo and in vitro effects of ghrelin/motilin-related peptide on growth hormone secretion in the rat. Neuroendocrinology 73(1): 54-61. Zizzari, P., Longchamps, R., Epelbaum, J. and Bluet-Pajot, M. T. (2007). Obestatin partially affects ghrelin stimulation of food intake and growth hormone secretion in rodents. Endocrinology 148(4): 1648-1653. How to cite: Le Thuc, O., Noël, J. and Rovère, C. (2017). 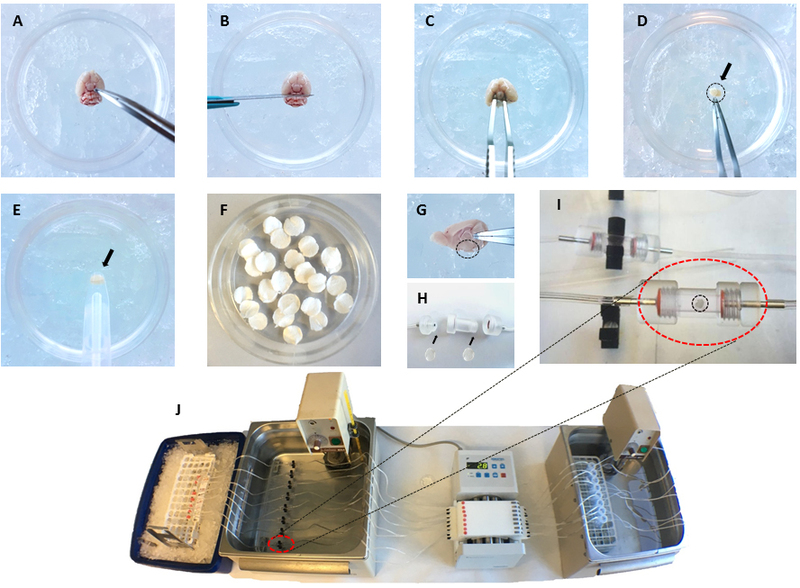 An ex vivo Perifusion Method for Quantitative Determination of Neuropeptide Release from Mouse Hypothalamic Explants. Bio-protocol 7(16): e2521. DOI: 10.21769/BioProtoc.2521.